A collection of books covering all subject areas offered by the University College as well as subjects of general interests. This is a short loan collection. It comprises mainly of core texts and professional exam study texts. 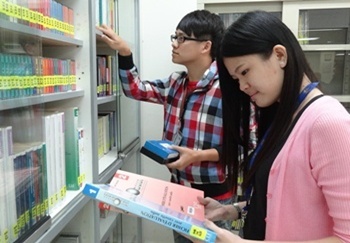 A variety of reference materials such as encyclopedias, dictionaries, handbooks, yearbooks and other general reference sources are held in this collection. These materials are to be consulted within the library. The serials collection consists of journals, magazines, daily newspapers, news clipping articles, CCH publications, bound journals, etc. These materials are to be consulted within Level LG area. This collection consists of bound volumes of the past year's examination question papers of the University College and also Cambridge University A-Levels. 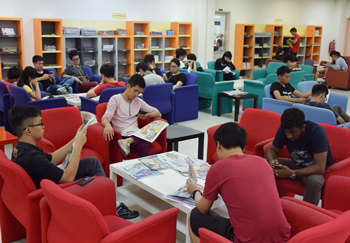 The materials are located at Level 2A, near the Photocopy Room and are made available to library users for five (5) years. This collection consists mainly of non-circulating electronic/audio-visual materials (videotapes, cassettes, VCDs, DVDs, etc.) The materials are to be used / viewed within Level LG only. This collection comprises book accompanying materials in electronic format (CDs, DVD-ROMs and diskettes).